LUPEC loves our liquor but for many of us, it was the history, the lore, and the tales of the cocktail that inspired our enthusiasm for that great American invention. 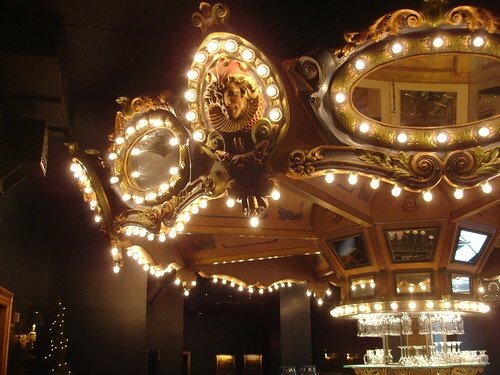 We are drinkers, yes, but we are also preservationists, and it tugged at many of our heartstrings to learn that the signature “Monteleone Cocktail” of the Carousel Bar at the storied Hotel Monteleone fell victim to the ravages of time. On this, the 60th anniversary year of the Carousel Bar, the Hotel Monteleone will make those lemons into lemonade (or perhaps, a delicious sour?) and create a new Monteleone Cocktail. They’ve put the call out to mixologists everywhere. On behalf of LUPEC Boston, we offer the following contributions to the noble cause. Stir and strain into a chilled cocktail glass. Garnish with a flamed orange peel. Shake and strain into a chilled cocktail class. Garnish with a flamed orange peel. Add 1 cup fresh raspberries to warm syrup and mash until well broken up. Let sit until syrup is completely cool, then strain out seeds. Recipes will be judged by VIPs who will be at the Carousel Anniversary Celebration on May 21 – check back for updates on the winning recipe!